Hidden amongst dense forest and on the bank of the Rufiji River, Selous Mbuyu Safari Camp provides the most breath taking views as down arises and a whole new adventure is about to begin. Overlooking the Rufiji River. When you arrive at the camp, you are welcomed in the grand reception hall which is adjacent to the bar and restaurant overlooking the banks of the Rufiji River. Selous Mbuyu Safari Camp is concealed in the middle of a think forest and along the riverbanks of River Rufiji, the Selous Mbuyu Safari Camp offers the most wonderful vistas as down arises as well as a totally new adventure is going to starty. 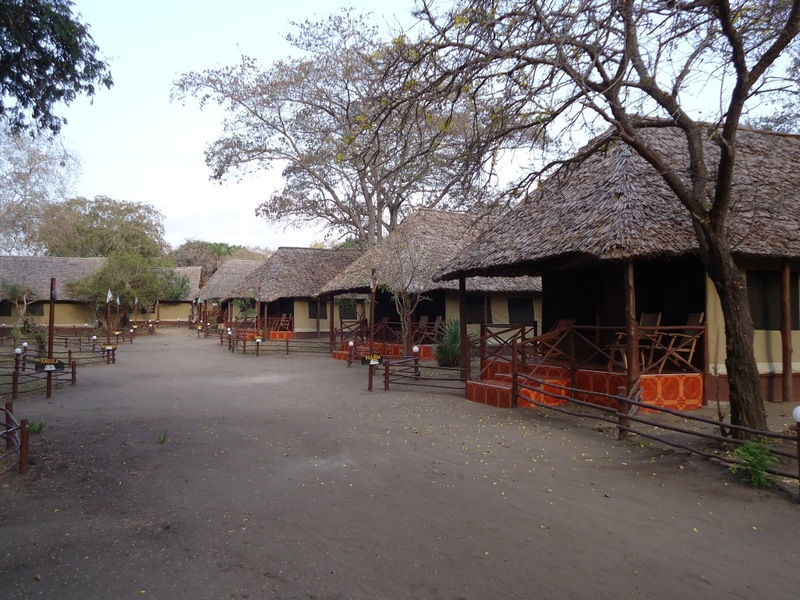 Selous Mbuyu Camp is made up of sixteen large and splendid tented chalets. The large tents have been delicately positioned to offer utmost privacy and also nicely blend with the natural surroundings. Each of the tents has twin beds which may be converted into sufficient double beds, having inside bathrooms. These tents are completed with inside and outside fans, portable air-conditioning, a large cupboard, a chair, a deposit box, working desk as well as 2 reading chairs. The inside bathroom has flowing water as well as a water heater that supplies the showers with hot water. There is a private patio on each tent that rewards with breathtaking views that face the river. Exceptionally each of the tents at Selous Mbuyu Safari Camp has a compact TV – Video combined with a widespread Video Library found at the Grand reception. These Tents have free for charge bottled drinking water as well as laundry services available on the guest’s request. For the guests’ safety these tents have an Emergency torch as well as a whistle used to raise an alarm in case of any danger. Covering an area of around 50,000 square kilometres, the Selous Game Reserve is one of the largest protected wildlife areas in the world. Despite this great size, the reserve is largely uninhabited by man and is recognised as Africa’s largest unspoiled wilderness. In recognition of the unique ecological importance of the reserve, it was granted World Heritage Site status, by the United Nations in 1982. Very little development has taken place in the Selous, and this makes it most natural wilderness remaining in Africa today. The reserve contains a wide variety of wildlife habitats, which include open grasslands, acacia and miombo woodlands, riverine forests, and swamps. It is home to thousands of the big mammals, hundreds of bird species, countless small animals, and many reptile varieties. The River Rufiji is the main feature in the Selous Game Reserve, with main tributaries twisting and turning across the flood plains as the river runs towards the Indian Ocean. The river’s delta contains the largest mangrove forest in the world. Boat Safaris on the river and on the adjacent lakes are a special way to observe wildlife and to see some of the best scenery in the reserve. Hippos, crocodiles, waterbucks, buffaloes, and a large variety of water birds such as herons, kingfishers, and geese are abundant in and around the river.